Because I aint no haulin-back girrrl! I’ll begin with a story. Whilst in Europe, Megan and I often times would lay in bed watching YouTube videos until the wee hours of the morning. Call us cray cray, but sometimes we just couldn’t peel our sleepy eyes off that tiny screen. Favorites include anything done by Jenna Marbles, old American Idol performances, Miss Magoo and most recently makeup tutorial and “haul” videos. If you are unsure as to what constitutes a haul video, allow me to deconstruct. They do not involve a U-Haul, moving or any kind of wheel barrow. These videos involve young women (mostly), showing off what they recently purchased on shopping trips. Haul videos can be comprised of makeup, clothing, home decor, etc and any combination of the like. Example “Haul” Video. This is Tiffany D and I love her. The reason I find these videos oddly addicting (along with hundreds of thousands of others, btw) is that I get a big kick outta seeing these gals blow copious amounts of money on makeup, shoes, hair products, clothing and just about everything in between. I happen to fall on the more frugal side when it comes to my personal finances and seeing these girls spend $500 at Ulta on nail polish, well…makes me giggle. It also makes me want. As I described in this video, I can be somewhat materialistic-ish at times. I’ll admit it. So while I watch these videos, I find myself making small lists of items that strike my fancy. No, I haven’t converted exclusively to YSL and Dior makeup, but I have realized that scraping the bottom of my Wet n Wild bronzer isn’t really that great. And in light of watching tons of these videos with sister Megan, I decided to throw her a curve ball and make my own. Please don’t judge, this video was made all in fun. After I made this little video while sitting on the floor in our room amongst laundry and an un-made bed I realized, this was kinda fun! Although I feel semi ridiculous and am a tad embarrassed to admit that I actually liked making the video, I’m going to do just that. I like making these videos, talking to the camera and entertaining my sisters (Megan and Rachel J). So sue me. So I made another “haul” video which is quite long. Again, please no judgements. I just like talking to my camera ok?! My most recent beauty obsesh as of late has been my hair, particularly it’s length and luster. I am always growing it out, but alas, it never seems to go much further past my shoulders and lacks shine. After extensive research I have determined this is due to breakage, the fact that I highlight my hair and also my pillowcase. Apparently for long-haired humans, cotton pillowcases rip our hair in the back of our heads when we sleep. 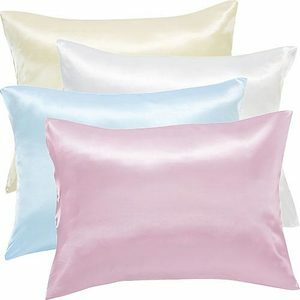 A trusted stylist took one look at my hair and told me to buy a satin pillowcase to eliminate this problem. She also advised me to begin the Moroccan Oil treatment regiment. 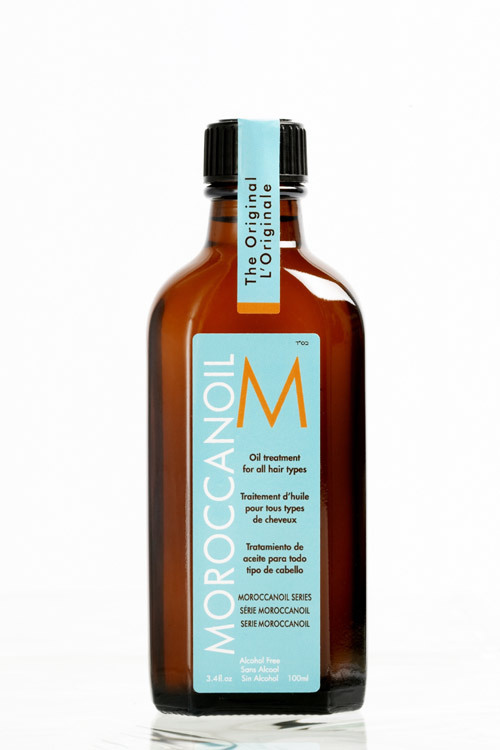 The whole Argan Oil treatment has been sweeping the nation and while I had heard of Moroccan Oil I thought it would be too heavy for my fine hair. After I tried it at the salon I knew this stuff was serious. A dime sized amount will spread throughout the whole head and immediately my hair felt better. I opted to go with the small bottle and have only used it once but can already tell a difference. I’m hooked! So…alot of beauty talk in this post. Sorry bout that. Next time I swear I’ll write about dungarees, piles of dirt and pitchforks ok? Natalie, your videos crack me up! 🙂 We miss you! Good to hear that! I have gotten a really nice result from it and I like that it’s a subtle color. Let me know what you think of the conditioner! Sissy!!! I diiiiie for your haul videos. They totally just made my day!!! And I wanted to tell you that I use that liquid eyeliner you just bought and it is absolutely the best. I’ve used it for years!! Enjoy!!! Loves!